Everyone needing specialty surgery knows how important it is to select the right surgeon. Not only is surgical skill critical, but having a surgeon and surgical team with a great deal of experience because they do large numbers of the surgery you need is also essential to obtaining the best outcome. There is an old saying that goes, "If you are having surgery it is a minor case, but if I am having surgery it is a major case." At FHMC we understand that every case should be treated as a major case. Everyone needing specialty surgery knows how important it is to select the right surgeon. Not only is surgical skill critical, but having a surgeon and surgical team with a great deal of experience because they do large numbers of the surgery you need is also essential to obtaining the best outcome. There is an old saying that goes, ”If you are having surgery it is a minor case, but if I am having surgery it is a major case.” At FHMC we understand that every case should be treated as a major case. You deserve not only the best surgeon, but also a surgeon you have had a chance to spend the time needed to have all of your questions answered so you are comfortable and confident about your decision. The physician owners of FHMC have control over the selection and recruitment of the staff who will be members of their surgical team. While it is true that the surgeon is the team leader, every great surgeon knows that they need a great support team to deliver the best surgical outcomes and the best care. Our nurses, therapists, medical assistants, and technicians have joined the FHMC family because they want to work with each specialist and be an important part of delivering outstanding service to you as their patient. These staff members are selected not only for their skill and commitment to their specialty but also because of their desire to provide you the personal care you need and desire. As a specialty hospital, each staff member has a specialty they are trained to care for and therefore this staff has a higher level of skill to care for you than would be typically available in a general hospital or even a university hospital because their staff is required to support many different programs. In addition, to a higher skill level, our hospitals have higher nurse to patient ratios which means they have more time to care for you. The majority of your care is provided by a nurse instead of lower skilled aid. With the best staffing programs our patients can immediately see and feel the difference in their care. 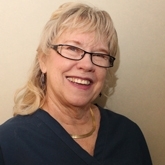 Carole has been part of the Forest Health Medical Center team for 9 ½ years. It is evident that she really enjoys her work and takes pride in making a positive difference in peoples’ lives--impacting them in a way that allows them to live a healthier life. Nursing is a perfect fit for Carole because it is constantly changing—feeding her appetite for learning. Meeting and interacting with many different people who have all kinds of interests makes every day an adventure for her. Outside of work she spends time with her husband, two children and three grandchildren (who are so much fun). Gizzy, so named because he looks like Gizmo from the Gremlins movie, occupies an honored place in their home as head kitty cat. Carole also finds time for baseball, golfing, gardening and sewing.